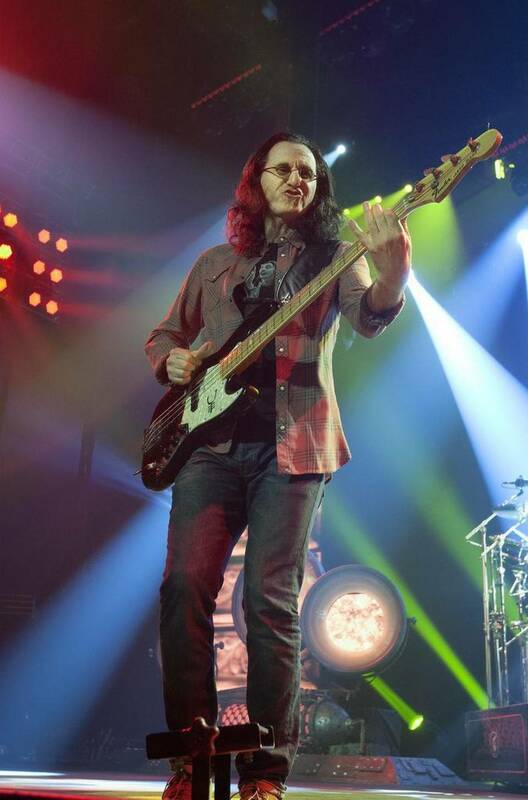 If this is their final tour, as the band has intimated, Rush’s concert Thursday night at the Sprint Center was a hell of a farewell. The Canadian progressive rock trio celebrated its 40th anniversary with a nearly three-hour show (including intermission) that walked backward through its catalog. Curtains closed off the sides of the upper level, but there were few empty seats otherwise. The dedicated fan base pantomimed every drum fill and guitar solo, picking their jaws up off the floor just in time to shout and sing along on cue. Packed with deep cuts — “Between the Wheels,” “Jacob’s Ladder,” “The Camera Eye,” and “How It Is” — the set list was a love letter to those fans. 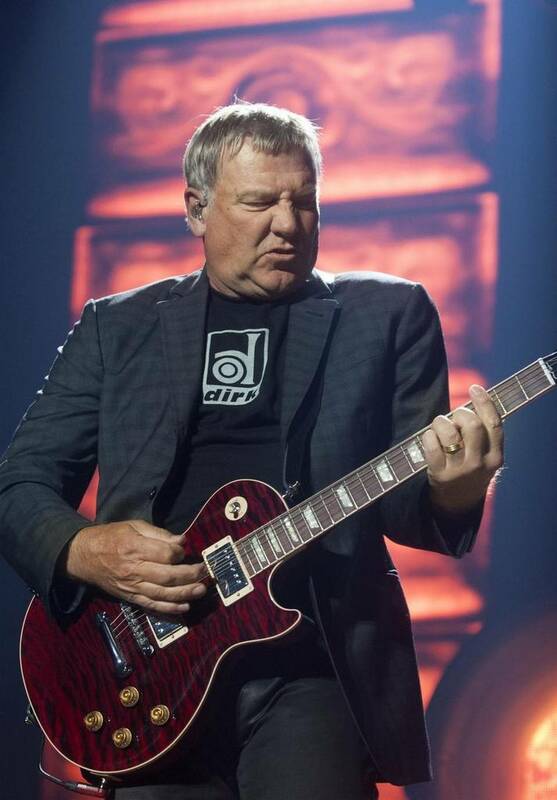 The opening 10-song set moved quickly through the past 30 years, starting with three tracks from 2012’s “Clockwork Angels” before ending at 1982’s “Signals” just an hour later. A clip from “South Park” kicked off “Tom Sawyer” and the second set. It felt odd hearing a standard encore number so early in the night, a feeling that was reinforced a few songs later with “The Spirit of Radio,” another typical closer. With the exception of “Closer to the Heart,” another classic rock staple, the rest of the night was given to epic, multipart suites. “Cygnus X-1” stretched more than 20 minutes and included a lengthy solo from revered drummer Neil Peart. Performances of “Xanadu” and an abbreviated “2112” suite also ran longer than 10 minutes each. The reverse timeline in the set list revealed interesting shifts in the band’s sound, from lean, aggressive guitar rock to concise, almost pop numbers heavy on synthesizers, to extended pieces like “Cygnus” that originally ran so long it was published on two albums. The reverse chronology also meant part two came first. The stage design mirrored the theme of walking back in time. More recent props like a popcorn machine and large brain were gradually replaced by stacks of amplifiers. Pyrotechnics gave way to strobe lights, lasers and, ultimately, a mirror ball. Superfan Paul Rudd showed up onstage the last time Rush came to town. He wasn’t physically in the house on Thursday, but appeared with Jason Segel, Jay Baruchel, Peter Dinklage and other celebrities in a recorded rap to “Roll the Bones.” Many of these actors also showed up in the short films that preceded each set, and closed the night. Bassist and keyboard player Geddy Lee galloped across stage and sang in the same impossibly high register he did on albums recorded when he was much younger. In addition to delivering a signature solo, Peart played on a different kit for each set, and altered his drumming style throughout the night to match how he originally recorded the parts. By the time Eugene Levy’s recorded introduction to the encore started, the stage was stripped almost bare, save a couple amps and a light stand. The video screens displayed a plain red curtain, then a high school gym. “Working Man,” the band’s breakthrough single was tagged with a bit of “Garden Road,” an unreleased outtake from the first album. Going back any further would have ended in nursery rhyme territory, so the three men said goodnight, possibly for the last time in Kansas City, legacy cemented. The Anarchist; The Wreckers; Headlong Flight; Far Cry; The Main Monkey Business; How it Is; Animate; Roll the Bones; Between the Wheels; Subdivisions. Intermission. Tom Sawyer; the Camera Eye; the Spirit of Radio; Jacob’s Ladder; Cygnus X-1 Book II > Cygnus X-1 Book I; Closer to the Heart; Xanadu; 2112. Encore: Lakeside Park; Anthem; What You’re Doing; Working Man/Garden Road.